Stephanie M. Wilson to Mitchell Kitay, W. Warren Ave., Youngstown, $10,500. Alice L. Chiaro to Audrey A. Murigold, Sandy Court No. 12, New Middletown, $160,000. John L. Pompoco Jr. et al to Barry Silver et al, Country Lane, Poland, $135,000. James J. Santangelo et al to William F. Cammack, Green Bay Drive, Boardman, $181,700. Robert D. Cox Jr. et al to Nevada Algo Trading LLC, Manhattan Ave., Youngstown, $11,500. Michael S. Paparodis to Bruce S. Bartels et al, Poland Village Blvd., Poland, $130,000. Forrest W. Baugh et al to Joseph L. Little et al, Ohio Ave., Poland, $129,000. Liborio B. Ricottilli et al to Rudzik Properties LLC, Lowellville Road, Struthers, $12,500. Michael F. Jurus to Mahmoud Kassem et al, W. Hopewell Drive, Struthers, $56,000. Thomas E. Milligan to Herbert Farm Jr., West Blvd., Boardman, $65,000. Frank L. Spencer to Louis J. Ruozzo IV, Southern Blvd., Youngstown, $29,900. Thomas E. Davitt et al to Nick J. Pantelis, Upton Road, Youngstown, $145,000. Christopher G. Price to Jacob E. Baxter, N. Main St., Beloit, $92,000. George Randall et al to Teddy L. Jurek, Chestnut Hill Drive, Youngstown, $109,000. James Leadbeater to Nard Capital Group LLC, Livingston St., Youngstown, $19,000. Shawn Toth et al to Vincent J. Martini et al, New Road, Austintown, $30,000. Marylou Weibel to Shawn M. Theis et al, Aquadale Drive, Boardman, $150,000. Marissa Baker to James Hall et al, N. Main St., Youngstown, $110,000. Judy J. Miglione to Tara Ohle, Bel Air Lane, Youngstown, $73,000. Allison M. Spadaford to Matthew D. Cowger Sr., New Road, Youngstown, $78,000. Jeanette B. Oliver to LexRen LLC, Kenmar Court, Youngstown, $20,000. Katie L. Derico to Steven Spicker, Redwood Trail, Boardman, $63,000. Robert C. Nagel et al to Jessica N. Szenborn et al, W. Western Reserve Road, Canfield, $350,000. Nationstar Mortgage LLC to Farid Fawzi et al, S. Hazelwood Ave., Youngstown, $32,500. Neil Stanton et al to Ronald W. Stoops Jr. et al, Cloisters Drive, Canfield, $360,000. Gloria J. Ramirez to Joseph D’Amico et al, Bexley Drive, Austintown, $70,000. Karen F. Loychik to Carri A. Killa, Boulder Creek Drive, Youngstown, $250,000. Robert M. Tracy et al to Jeffrey A. Kish et al, Eastern Ave., Campbell, $109,000. Linda Davies to Marley Properties LLC, Mahoning Ave., Youngstown, $335,000. Dorothy M. Hock to Lisa M. Smith et al, Southwestern Run 80, Youngstown, $142,000. Elaine M. Austin to Megan M. Day, Milton Newton Road, Diamond, $128,200. Robbie Lumpkin to Bryant K. Berch, Lansdowne, Youngstown, $15,000. Tiffany Weimer to Ashley Getsy, Regent St., Campbell, $53,000. V Mortgage REO 3 LLC to Louise K. Hoyle et al, S. 15th St., Sebring, $7,500. Amy L. Garland et al to Jeremy B. Davies et al, Homestead Drive, Youngstown, $52,500. Samantha Gage et al to Marie D. Shore, Ferndale, Youngstown, $4,000. George E. Dario to Bryan L. Schiraldi, Indian Run Drive Unit 4, Campbell, $65,000. James D. Fogle et al to Shelby J. Miller, San Pedro Drive, Youngstown, $75,000. Lonnie D. Warren Jr. et al to Jason A. Carcelli, Clingan Road, Struthers, $200,000. Michael J. Ford et al to TAAM Properties LLC, Youngstown-Pittsburgh Road, Poland, $65,000. Erin M. Gentry to Donald Cramer Sr., Manchester Ave., Youngstown, $27,000. Kado Land Co. LLC to PQR Ohio LLC, N. Richview Ave., Youngstown, $26,500. Woods Rentals of Ohio Inc. to Rajiv Sharma et al, E. Avondale, Youngstown, $19,750. Woods Rentals of Ohio Inc. to Rajiv Sharma et al, E. Avondale Ave., Youngstown, $34,000. Keith A. Bruner et al to Christoffer M. Splain, Gilbert Drive, Youngstown, $144,000. Teresa L. Janiec et al to Carmen Conglose, Deer Creek Drive, Struthers, $235,000. Phyllis Alston to Terrance L. Johnson et al, Forest Park Drive, Boardman, $106,000. Darra L. Tolle to Juliana Seelman, Sandalwood Court, Youngstown, $119,000. Alyscam LLC to Patrick J. Finn et al, Shields Road, Canfield, $110,000. Phyllis Riley to C. Ray Famiglia LLC, Aryshire, Youngstown, $80,000. Peter C. Fraser et al to Patsy S. Rozzo Jr. et al, Rockwell Road, Youngstown, $103,000. Samuel D. Lavanty et al to Madison Sepp, Saginaw Drive, Poland, $175,000. Kent L. Smith et al to Sonya Davis et al, Shilling Road, Berlin Center, $35,000. John D. Puskas to Barbara K. Havrilla, Broadview Ave., Youngstown, $10,000. Katherine J. Basal et al to Joseph M. Conversino Jr. et al, Danbury Drive, Boardman, $121,200. Russell M. Burrier Sr. to Melissa M. Armstrong et al, E. Wisconsin Ave., Sebring, $85,000. SG Capital Partners LLC to The Brady Impact Trust, E. Lucius Ave., Youngstown, $16,817. Joseph E. Sefcik Jr. et al to Michael D. Ramun et al, Camanche Trail, Youngstown, $160,000. Grank B.A. Wanat et al to John J. Kulifay Jr. et al, Youngstown-Pittsburgh Road, Poland, $109,000. 6294 Clingan Road LLC to ABS Land Holdings LLC, Clingan Road, Poland, $160,000. Bank of America NA to Mahoning Valley Home Improvement Corp., Westminster Ave., Youngstown, $27,000. Edward N. Erhardt et al to Allyn J. Boober, Hamilton Ave., Poland, $102,500. Richard A. Greier to Marquita A. Gutierrez, Canfield-Niles Road, Canfield, $60,000. Mary C. Thornton to Colleen R. Sellers, Salinas Trail, Youngstown, $65,000. Joe Koch Construction Inc. to Alan Griffiths et al, Cross Cove, Youngstown, $201,000. Gary N. Hurd et al to GeographX LLC, Bears Den Road, Youngstown, $22,000. Thomas Saraf to Brian T. Roach et al, Mahoning Ave., Diamond, $83,000. Karen B. Marsh to Gregory A. Morelli, Mock Road, Berlin Center, $215,000. Charles L. Vance II to George W. Kendall et al, Marcia, Youngstown, $91,400. Richard W. Burton to Diane M. Schlick, Kleber Ave., Austintown, $94,000. SG Capital Partners LLC to The Dexter Group Trust, Beldon Ave., Youngstown, $23,829. Joel D. Monaco et al to Mala Salata, Hamilton Ave., Youngstown, $85,000. Kaitlyn J. Stewart to First York Financial LLC, Arden Blvd., Youngstown, $30,800. Diane Glover to Community Corrections Association Inc., W. Delason, Youngstown, $3,000. Sylvester and Vernal Development Co. LLC to WRS Partners LLC, South Ave., Youngstown, $525,000. Sallie D. Fullerman to Robert Bernard et al, Harbour Lights Blvd., Columbiana, $251,000. Infamous Home Improvements LLC to J&L DAK LLC, Midland Ave., Youngstown, $28,000. Barbara Brothers to Scott Schulick, 5th Ave., Youngstown, $170,000. Jason D. Helod et al to Robert L. DiBattiste, Ohlin Drive, New Middletown, $145,000. Sandra L. Burlock to Michael Petrello, N. Roanoke Ave., Youngstown, $55,000. Raymond L. Hill et al to Malikh Carter-Wilks et al, Martha Ave., Campbell, $85,500. William J. Shinn et al to Hunter L. Saffell et al, Smith Northeast Road, North Benton, $215,000. Jeffrey Zatchok et al to Timothy J. Frankhouser, W. South Range Road, Salem, $184,500. Edward Bleterman to Joseph Pompili, Denoer Drive, Poland, $7,900. Joseph J. Pitko Jr. et al to Joseph Pompili, Denoer Drive, Poland, $14,000. Walter A. Goclano et al to Ronald R. Goclano et al, S. Canfield-Niles Road, Canfield, $220,000. Anthony Thomas et al to Joseph R. Dorn, Huntington Drive Unit 8, Youngstown, $58,900. Florence Jablonski to Barbara A. Wittenauer Revocable Trust, Robinwood Drive, New Middletown, $110,000. 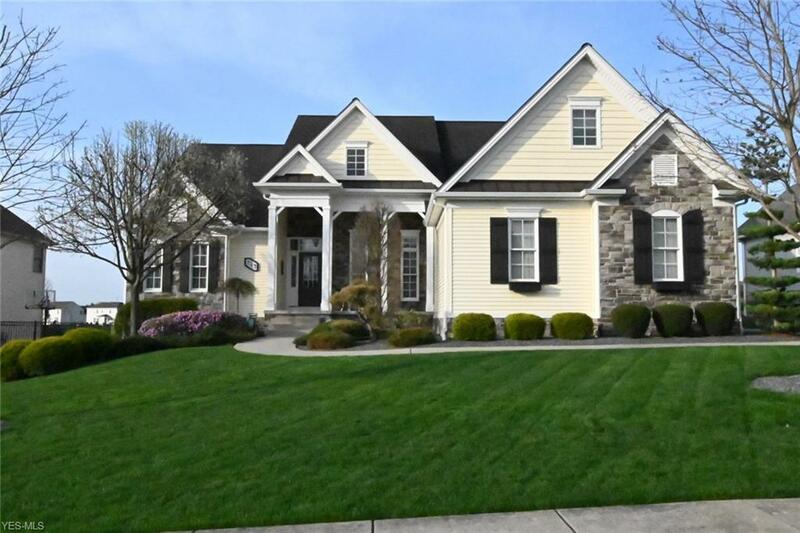 Jennifer Cioffi et al to Ian D. Sipe et al, W. Middletown Road, Canfield, $213,000. USA Equity LLC to Doris Liou, Robinson Road, Campbell, $50,800. Phyllis Fajack et al to Andrew J. Gall et al, E. Western Reserve Road No. 1404, Poland, $145,000. Terrielyn Hunter to Stephen C. Prest II et al, W. South Range Road, Salem, $120,000. Chris W. Cole et al to Michael A. Kavali et al, Shadydale Drive, Canfield, $280,000. Janina Sodomora to Renee Sodomora, Oakcrest, Austintown, $39,220. Racoon-Mahoning Associates LLC to Amerco Real Estate Co., Mahoning Ave., Austintown, $1,286,785. Michael S. Surnow to Amerco Real Estate Co., Mahoning Ave., Austintown, $1,286,785. Samuel B. Surnow to Amerco Real Estate Co., Mahoning Ave., Austintown, $30,714. Racoon-Mahoning Associates LLC to Amerco Real Estate Co., Mahoning Ave., Austintown, $30,714. 3K Investments to Amerco Real Estate Co., Mahoning Ave., Austintown, $215,000. Matthew W. Whiteman to Birendra Thapa et al, Skyline Drive, Canfield, $152,500. Kevin J. Guterwill to Valentine Properties LLC, Moherman Ave., Youngstown, $37,000. Philip J. Battafarno et al to Paula M. Higgins, Clingan Road No.4B, Struthers, $149,500. Donald J. Jakovina et al to Christopher M. Durkin, S. Turner Road, Youngstown, $400,000. Brandon E. Depp et al to Donald Nelson et al, Delaware Ave., Youngstown, $133,000. Janis A. Johnson to Curtis M. Smith et al, W. Parkside Drive, Youngstown, $160,000. Barbara J. Evans to Wasakati S. Meevatha, Forestridge Drive, Youngstown, $135,000. Kevin L. Myers et al to Thomas R. Vitucci, Center Road, Youngstown, $65,000. Huntington National Bank to Valentini Properties LLC, S. Osborn Ave., Youngstown, $23,000. Alan L. Murray Sr. to Anita Chearno, E. Western Reserve Road Unit 2101, Poland, $125,500. Richard P. Melvin et al to Donald C. McCaughtry et al, Rocky Ledge Drive, Struthers, $139,500. Alice P. Vestal to Andrew C. Crowe et al, Wildwood Drive, Youngstown, $50,000. SG Capital Partners LLC to The Dexter Group Trust, Woodworth Road, North Lima, $27,303. SG Capital Partners LLC to The Dexter Group Trust, Wilson St., Struthers, $44,777. WP/CPBD Associates LP to Boardman Plaza Associates LLC, Boardman-Canfield Road, Boardman, $18,800. Karl J. Roach et al to Jack Daugherty, Mistletoe Ave., Youngstown, $38,500. Michael J. Lyda et al to 319 Knox Ave. LLC, Baldwin St., Youngstown, $21,000. Spiros Tsagaris to Three Kingz LLC, Edward Lane, Campbell, $7,000. Brad S. Garwacki et al to John Casciano, Drakeview Court, North Lima, $48,000. Grapeful Investments LLC to Tonya R. Williams, N. Schenley Ave., Youngstown, $39,000. David N. Kramer to Carmen T. Robb, Terrace Drive, Boardman, $72,000. Bryant L. Smith et al to Kenneth J. Bielik et al, Country Ridge, Austintown, $183,700. Kenneth J. Bielik et al to Mark A. Sustar Jr., Howard Ave., Youngstown, $109,000. Tulsiani Group of Companies LTD to Rufus C. Carter et al, S. Whitney Ave., Youngstown, $13,000. Quadland Corp. to Russell W. Snyder et al, Springfield Road, Unit 401, Poland, $227,500. Catherine A. Kalischak to David N. Kramer et al, Green Glen Drive, Boardman, $164,000. 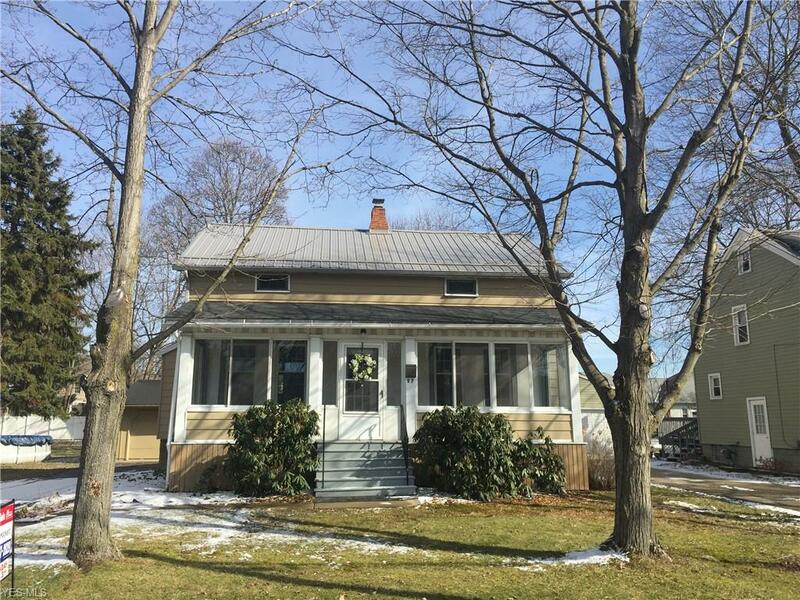 Irene E. Grizinski to Michael Bratten et al, Glenridge Road, Boardman, $78,000. Bryan Culton to Fadi El Chammas et al, Indian Trail, Poland, $209,900. Gregory Szmaj et al to Joseph P. Schonberger et al, Whispering Pines Drive, Canfield, $235,000. GRPL Enterprises to Deborah L. Carrocce, Championship Court No. 17, Canfield, $278,900. James F. Flask et al to Elizabeth Rondinelli, Tippecanoe Road, Canfield, $220,000. Madeline A. Kreslick to Frank R. Walker et al, Jackson Street, Campbell, $14,000. Joann Riner et al to Sharon E. Fox, Fithian Avenue, Youngstown, $16,280. Robert P. Smith to Ricky G. Gorby et al, Youngstown-Pittsburgh Road, Petersburg, $65,000. Fanta Fanty Cannon to Ken Harter, East Judson Avenue, Youngstown, $25,000. Edmond Burke et al to Kenneth A. Namish et al, Shadow Oak Drive, Austintown, $115,000. Nicholas J. Lombardi et al to Nate Dinet et al, Cobblers Run, Poland, $392,000. Off Piste Properties LLC to Nicholas P. Opencar, Tippecanoe Road, Canfield, $81,000. Jordon C. Weber et al to Kelli N. Gould et al, Kirkhaven Drive, Austintown, $140,000. Matthew J. Polak Jr. to Terri L. Bright, Oran Drive, Youngstown, $60,000. Robert P. Reilly et al to Patrick T. Ginnetti, Ruby Court, Austintown, $250,000. Elizabeth Palladino to Randall E. Miller, Pinewood Drive, Boardman, $112,250. James M. Hill et al to James R. Bethel et al, Zander Drive, Youngstown, $90,000. Gary D. Cronk to U.S. Bank National Assoc., Aldrich Road, Boardman, $53,200. Wilmington Savings Fund Society FSB to Stacey Czap, West Hampton Drive, Austintown, $55,000. Matthew T. Sprankle to Austin T. Beniston, Maple Drive, Boardman, $102,500. Cynthia K. Schragg to Jill A. Nichols, East Ohio Avenue, Sebring, $86,900. Brookwood Apartments LLC to L’Avenir LLC, Old Shay Lane, Boardman, $60,000. Jeanne M. Lowery to Thomas W. Doctor et al, Clingan Road, Poland, $242,000. Madison-Conner Properties LLC to Funtulis Property Group LLC, Shadyside Drive, Boardman, $29,000. Funtulis Property Group LLC to LA Works, Shadyside Drive, Boardman, $31,500. Gary A. Shuster et al to Rodney K. Bowyer Sr. et al, Sharrott Road, $235,000. Karen A. Hatzileris to Danielle D. Hubbert, Arch Street, Youngstown, $25,750. John T. Moore et al to Thomas Taylor et al, Detwiler Road, Columbiana, $335,000. Don Perkins et al to Kristin L. Maizel, Mill Creek Boulevard, Boardman, $137,000. Opportunity Realty LLC to Five Cabballeros Properties LLC, East Woodland Avenue, Youngstown, $100,000. Elias E. Boulos Jr. et al to Nadeem Malik et al, Muirfield Drive, Canfield, $515,000. Linda Kiraly to David A. Kosec et al, Heron Bay Drive, Poland, $365,000. Cory Kutlick to Robert A. Zabel et al, Paddington Road, Canfield, $790,000. Marissa DeVincent to Trilo Properties LLC, Oxford Street, Campbell, $17,000. Christopher M. Martin to Raymond E. Bresnahan, Jeanne Lynn Street, Poland, $89,500. Gary Sovick to Mane Health Realty LLC, East Western Reserve Road, Boardman, $175,000. Bayview Loan Servicing LLC to Heritage Home Management LLC, 396 Lordes Lane, Campbell, $8,000. Roger Bowman et al to Kellys Marine LLC, 2014 Grandover and vacant lots, $125,000. Lori Lucia to Nick Gilangi et al, Staatz Drive, Austintown, $92,900. Mark Barabas et al to Shawn Loftis et al, S. Schenley Ave., Youngstown, $69,000. Sunshine Properties LLC to Lorenda M. Howell, Windsor Ave., Youngstown. Sandra M. Coates to Christopher M. Martin et al, Clingan Road, Youngstown. Paperbark Holdings LLC to Kimberly Lautanen, Melrose Ave., Youngstown. Frank C. Kotouch to Theresa Foley, East Philadelphia Ave., $7,000. George J. Stevens to Leon Navarro et al, Apache Lane, Poland, $161,000. Robert H. Schnellbach Jr. to Joshua Z. Gray, South Turner Road, Austintown, $110,000. Adam B. Stevens et al to Susan T. Brownlee, Sugar Cane Drive, Youngstown, $167,000. Lisa M. Kaneskto to Randall Beil et al, Massachusetts Ave., Poland, $52,000. Brenda R. Carino et al to Thomas P. Scala et al, Vollmer Drive, Youngstown, $136,000. Zidian Development LTD to Bank’s Affordable Homes LLC, 101 N. Meridian Road, Youngstown, $25,000. 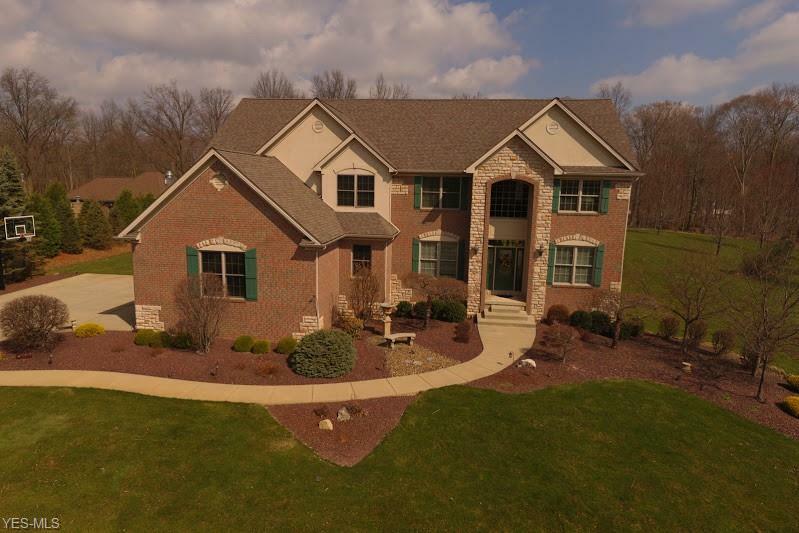 Steve Zolla et al to Albert D. Anzalone et al, Lake Wobegon Drive, Canfield, $330,000. Gene Peterson to Evan Beil, Hitchcock Road, Boardman, $67,000. Elma I. Massie to Brandon L. Lewis, Harvey St., Struthers, $43,500. Judith R. Domagalski to Andre Campbell et al, Powers Way, Youngstown, $33,000. Thomas Groner et al to Patrick Hughes, Westport Circle, Boardman, $185,000. Elizabeth A. Kebly to Faith A. Morros, Thurber Lane, Youngstown, $50,000. Fawn Plaza LLC to GBRT Real Estate, Boardman-Canfield Road, Boardman, $1,000,000. Ricky Sebrell to Mark R. Wirtz et al, Griswold Drive, Boardman, $200,000. Eufrasia Marchionda to Robert D. Trummer et al, Southern Boulevard, Boardman, $8,500. Alicia M. Umbel to Michael Gentry et al, White Beech Lane, Austintown, $105,000. Alday Co. to David P. Harris Jr. et al, Detwiler Road, Canfield, $127,660. Edward P. Meek et al to Robert D. Wolford, Katherine Street, Struthers, $47,500. Dominic Raco to Kelli L. Willis, Country Club Ave., Youngstown, $92,500. J. Polansky Properties LLC to Joseph Mistovich et al, Cedars Drive, Poland, $300,000. James M. Hill et al to James R. Bethel et al, Zander Drive, Boardman, $90,000. Gary A. Shuster et al to Rodney K. Bowyer Sr. et al, Sharrott Road, Poland, $235,000. Roger Bowman et al to Kellys Marine LLC, 2014 Grandover and vacant lots, Craig Beach, $125,000. Adam B. Stevens et al to Susan T. Brownlee, Sugar Cane Drive, Boardman, $167,000. Filomena Gentile to Lori Ann Lucia, Canfield Road, Youngstown, $51,500. John W. Burky to Timothy V. Knauff et al, South Salem Warren Road, North Jackson, $93,500. Jeffrey Emerick et al to Holly M. Mufleh, Mallard Crossing, Canfield, $260,000. HGT LLC to Aaron L. Moser, Royal Oak Circle, Sebring, $155,000. Anadroj LLC to Funtulis Property Group LLC, Wakefield Avenue, Youngstown, $27,000. Funtulis Property Group LLC to TAG Resources LLC, Wakefield Avenue, Youngstown, $31,000. Robert J. Rider et al to Anthony A. Caudill, Polley Drive, Austintown, $66,900. Anadroj LLC to Funtulis Property Group LLC, Windsor Avenue, Youngstown, $23,000. Funtulis Property Group LLC to TAG Resources LLC, Windsor Avenue, Youngstown, $30,000. Robert J. Zackasee et al to Gerrod S. Hrusovsky, New Castle Road, Lowellville, $168,500. Jeremy Vivo to Dominic J. DeFelice et al, Turnberry Drive, Boardman, $165,000. Campbell Communities Ltd. to Sycamore Place OH LLC, Tremble Avenue, Campbell, $1,000,000. Judy Collins et al to Mary L. Rivera, Shirley Road, Youngstown, $30,000. Jay Gebhart to Kara L. Gebhart, Birch Trace Drive, Austintown, $119,000. David G. Markota to Veres Ventures Group Holdings, Pine Tree Lane, Boardman, $93,500. Michael R. Cunningham et al to Nathaniel Feeney et al, Buchanan Drive, Youngstown, $118,000. Douglas G. Lewis et al to Jeremy Vivo et al, Columbiana-Canfield Road, Canfield, $240,000. Theresa Greenhill Lesko to Jeanette N. Lesko, Ridgelawn Avenue, Youngstown, $65,000. Anthony J. Gotti to Robert J. Zackasee et al, Pawnee Place, Poland, $165,000. Sharon D. Moon to Laura Prest, Halls Heights Avenue, Youngstown, $34,500. Bradley A. Chamberlain to Chase M. Lemke, Bryant Drive, Austintown, $98,000. Mark R. Wirtz et al to Noah D. Kelley et al, North Main Street, Poland, $180,000. Howard J. Kordes et al to Melissa Sember, Meanderwood Drive, Canfield, $88,000.